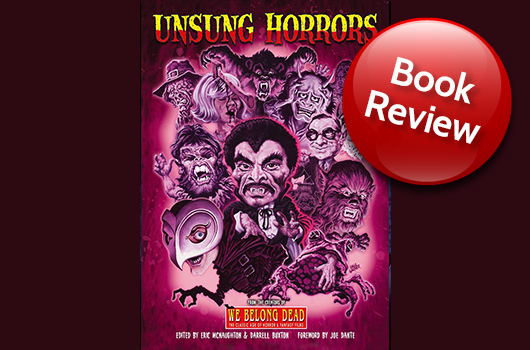 We Belong Dead publisher Eric McNaughton caused quite a stir in the horror world last year when he released his 70s Monster Memories tome, a nifty work of over 400 pages devoted to all that was great about growing up as a horror movie fan in the 1970s. 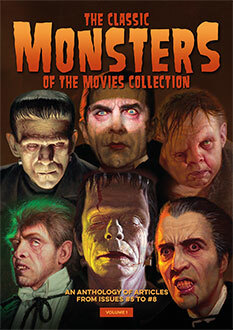 Fans and collectors alike flocked to acquire a copy of this coveted volume, and pretty soon it was sold out completely. But with his latest publication, Eric has managed to pull off another remarkable feat. Entitled ‘Unsung Horrors’, this beautifully designed work of art calls to mind the myriad monster flicks that rarely see the light of day, inspiring us to track them down that we may finally lay their ghosts, or at least put them on our ever-increasing ‘must watch’ lists. The book is organised in a fairly haphazard fashion, but this works well taking into account the fact that perhaps many of the titles in the collection may have hitherto been unheard of. We see movies such as Bug, The Manster, Phantom of the Paradise and The Bat Whispers to name but a very tiny few, all discussed and explored in the detail we monster fans demand and love. Unsung Horrors is printed in full colour throughout and benefits once again from Steve Kirkham’s awesome design. With a foreword by the legendary Joe Dante, no less, this is a handsome addition to the most discerning horror movie fan’s library. 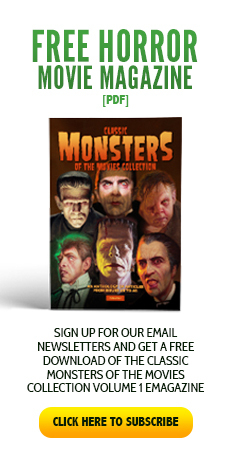 It certainly gets Classic Monsters’ highest recommendation. To find out more, or buy your copy, visit the Unsung Horrors website here.